Dentists in Tijuana offer economical yet high quality dental treatment. Dental crowns and bridges are amongst our most common teeth restoration procedures. Crowns are an ideal way to rebuild teeth which have been broken or weakened by decay. This is an excellent form of restoring your smile using the same quality materials available in the US but at a fraction of the cost. 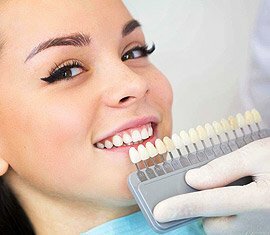 Using only the best materials manufactured in the United States and performed only by board certified dental professionals you can be assured that this procedure are not only cheaper but also world-class as well. Crowns and bridges are meant to repair or replace missing or damaged teeth getting this dental solution means restoring your smile and your ability to properly speak and chew. It will also mean maintaining the shape of your face, preventing remaining teeth from drifting out of position and distributing forces in your bite. This treatment option can be done and as little as one week’s time restoring full look and function of your mouth all while leaving you with a younger more attractive appearance.